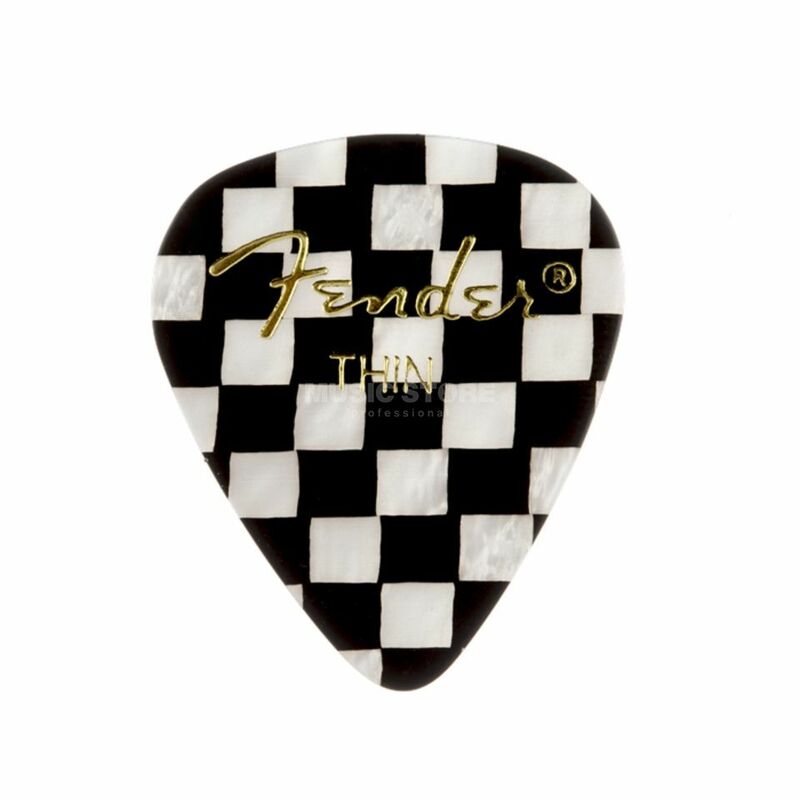 The Fender 351 Checker Guitar Picks Thin is a guitar pick set of 12 picks, with a checkerboard pattern, made from celluloid, and features a thin gauge. Fender picks provide comfort and high-performance flexibility for every performer, with a skate punk checkerboard styling pattern. Celluloid is a premium pick material. Celluloid picks have traditional playing feel and a warm, round musical tone. The traditional 351 shapes is the perfect accessory for players of all styles and techniques.